Known for world class and high-quality service, heading the Ivory Aesthetics team is none other than Shohreh Bagherian, one of UAE’s most renowned and sought after facialists. Shohreh has been prominently featured in Harper’s Bazaar, Cosmopolitan, Hello! Magazine, Good Housekeeping, and numerous other publications as a pioneer in skin care treatments. She’s known for her technologically advanced services, luxurious spa ambiance, and outstanding skin, body, and hair treatments. 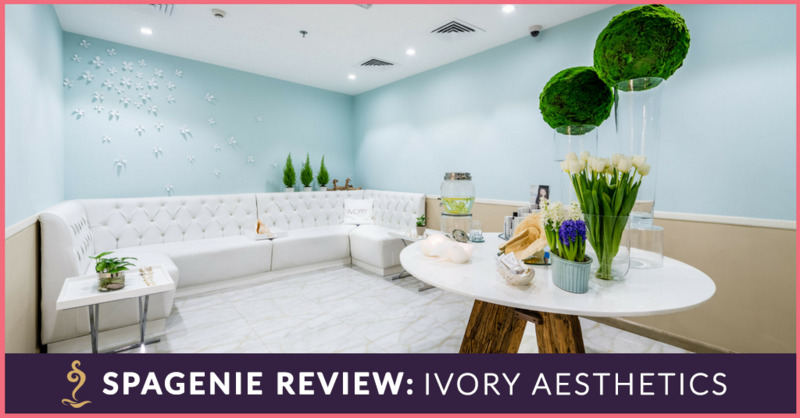 Located in Silver Tower, Business Bay, Ivory Aesthetics’ glamorous and modern-day interior makes it the perfect place to feel like royalty. The Oxygen Infusion Facial Treatment is one of the most popular services at Ivory Aesthetics, and a client favourite. It uses a machine to infuse pure oxygen into your skin, helping the skin absorb its healing ingredients and penetrate deeper layers of the epidermis. This, therefore, doubles the treatment’s effect on the skin and allows the products used during the facial to work more effectively. Oxygen Infusion Facial Treatment is perfect for all skin types, as it’s ingredients are carefully tailored according to what the skin needs. I was personally welcomed by Shohreh, who sat with me to discuss my skin and the treatment. She told me about my skin’s health and its problems, and also checked my previous skincare history – the treatments I’ve done before, whether I’m using sunscreen or not, and what we can do to improve my skin concerns. What I like about Shohreh is her passion, and her process in customizing each facial according to my skin’s overall health and on how she can make it look its best. Shohreh carefully explained the facial process to me, what was being applied, and what it does. She also constantly asked how I was feeling, especially during extractions. The best thing about the Oxygen Infusion Facial Treatment is, it gave my skin an instant glow. My skin was very dull, and I had dark undereye circles. But immediately after, I could see my skin’s health become better and radiant. After the facial, while I still had my mask on, I was treated to their signature relaxing back massage. Shohreh is one of the most knowledgeable facialists when it comes to skincare, and also an expert in customizing products and ingredients to suit the skin’s needs. 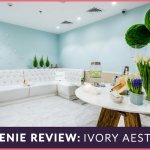 The ambiance of her spa is extremely beautiful, with gorgeous interiors – when I stepped in, I felt like I’d entered into a beautiful sanctuary that immediately relaxed me. Overall, if you are serious about taking care of your skin, we’d absolutely recommend Shohreh. She is no doubt one of the best in town and she takes her clients skin health very personally, always adjusting treatments and methods based on what you need.